Re: So You Want a V8 Ninety? the vehicle in parliament square had the limestone uppers but the lower was very definitely a caramel colour, not as dark as the brown, not "sand glow" either, lighter than that. .
Russet Brown was the Dark Brown. the colour that comes closest to it (from the brochure) is on the page opposite Land Rover Reliability Inherent in the design. The colour in question is closest on the top of what would be the driver's side wing on a UK vehicle. Then again how many of us can accurately remember the colour of the living room carpet when looking for curtains? A 1983 One_Ten, fitted with a 300Tdi and described as unmodified? Also 36 years old and only 71,000 miles on it. As I think I said, there will be a lot of poorly restored/modified One Tens on the market, as so few have been kept original and good spares are hard to find. If anyone pays £16K for a heavily modified One Ten with questionable mileage, it will just be a continuation of silly people, with silly money, paying silly prices for something they know nothing about, that we have seen already with classic Land Rovers. If you have money to spend, buy originality - it can only be original once. Maybe we should have a separate thread on One Tens, as this has wandered away from the original subject? Good idea on the 110 thread Slidey. 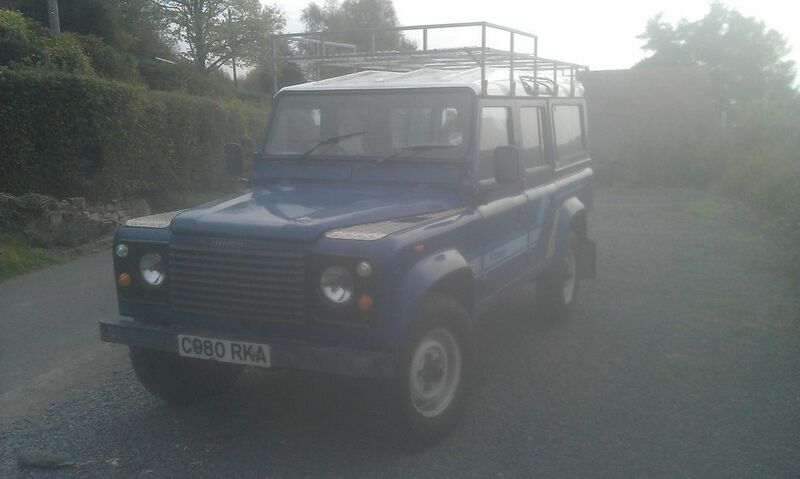 This was mine, bodywork, chassis and interior all original but it had a 200tdi from a Disco and a 1.2 transfer box. It went really well, and ended up in Holland. The bodywork felt a lot more solid than later vehicles, the wings gave off nice deep sound when tapped! It let me down once when the stop solenoid packed up. Happy days. I'll start a separate thread so people can add to it if they wish. Mind you, I don't expect a rush! .....2 1/4L Diesel engine !!!! It must have been very early A reg as the 2.5 diesel was introduced soon after - as Land Rover recognised how poor the old 2.25 was, in the new vehicle.